This demo is for the Helix patch. The HX Stomp patch contains the same base elements – see below for exactly what is included in the HX Stomp version. 1. UPDATE YOUR FIRMWARE: Please upgrade the firmware on your HX Stomp and the HX Edit software from Line 6 to the latest before installing this patch. Even if your HX Stomp is up to date, the ‘HX Edit’ app needs to be updated as well. We built this patch assuming you will be integrating HX Stomp into an existing effects rig, using it to replace an amp with the option of additional effects. It includes the base tone components from the full Helix version of this patch. The delay and is mapped to button 2. We included the Adriatic delay because it’s Brad’s favorite delay in the Helix. In the Helix patch, this delay is set at 1/8th notes, but for the Stomp version , we chose dotted 8th. We’ve set up button 1 to increase the level of “Drive” on the Matchless amp model. This essentially gives you an overdrive. 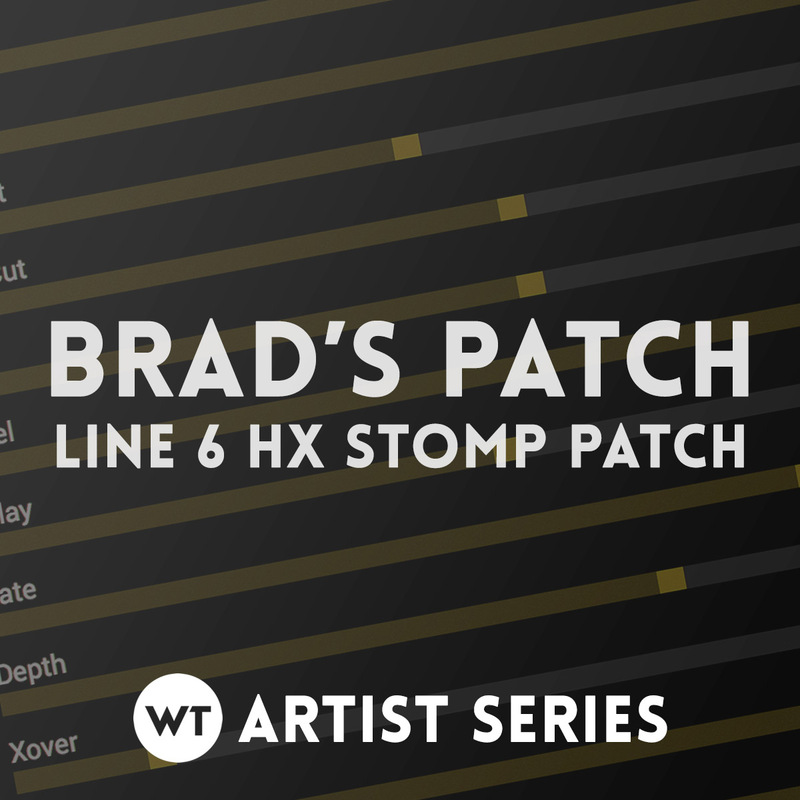 This HX Stomp patch is built from our full Helix patch. The download of this patch includes every setting of every effect block used in our full Helix patch. Feel free to substitute any of those effects into the patch to suite your specific needs.